If you own a lot that you envision your dream home on, RALLE Homes can make that vision a reality. We build custom homes on lots that you own. If you don’t own a lot, that’s not a problem. We have built homes in several neighborhoods for your convenience. These neighborhoods have been selected by RALLE Homes to build in because of their convenient locations and desirable features. Many of the lots are wooded to give you the privacy and solitude of nature even when living a city life and are situated for walk out basements. These neighborhoods have been developed by RALLE Homes because of their convenient locations and desirable features. 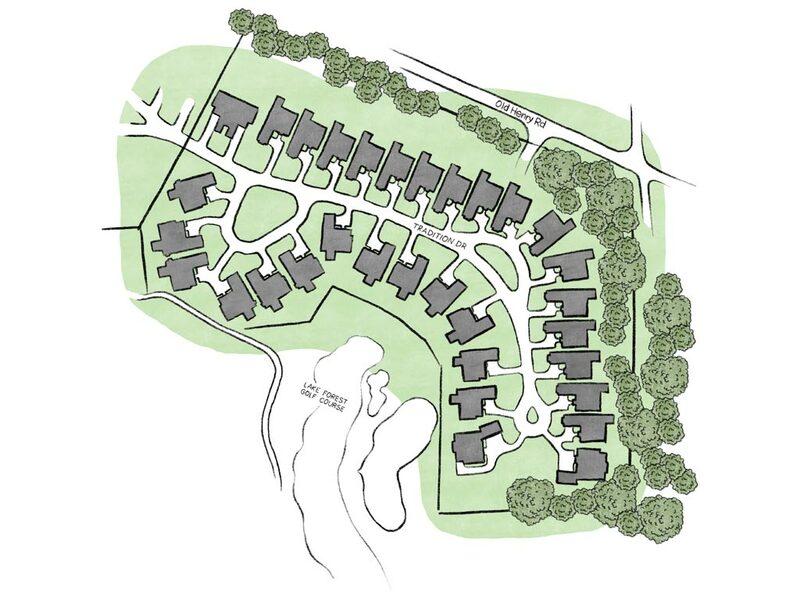 Many of the lots are wooded to give you the privacy and solitude of nature even when living a city life and are situated for walk out basements. 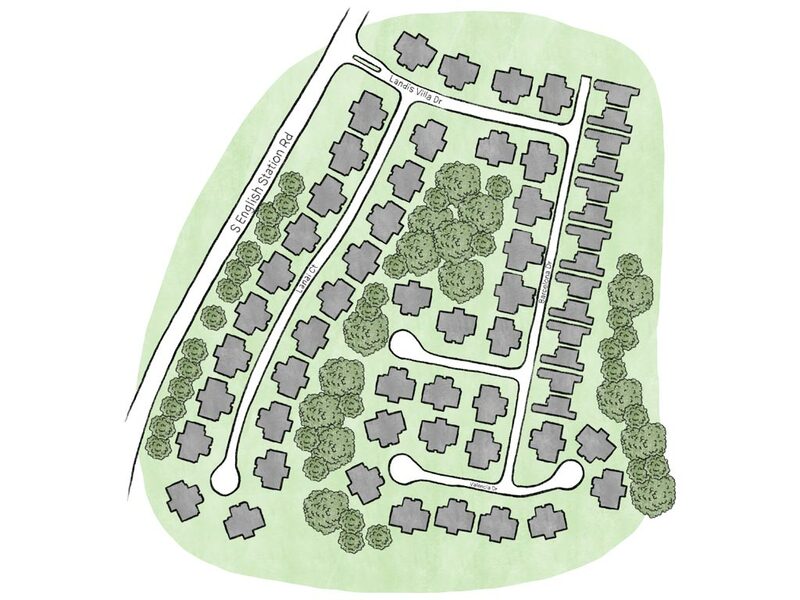 If you enjoy the convenience of living close to Louisville’s major interstates but still desire a small and quiet community, then Arborgate Village just might be for you. We are confident you’ll love the beauty and privacy of your wooded lot and, of course, the exquisite finishing touches you expect from RALLE Homes. Lake Forest Legacy allows you to choose between wooded lots with a stream running by, extended lots with large backyards, or lots with incredible views of Lake Forest Country Club’s hole number 5. 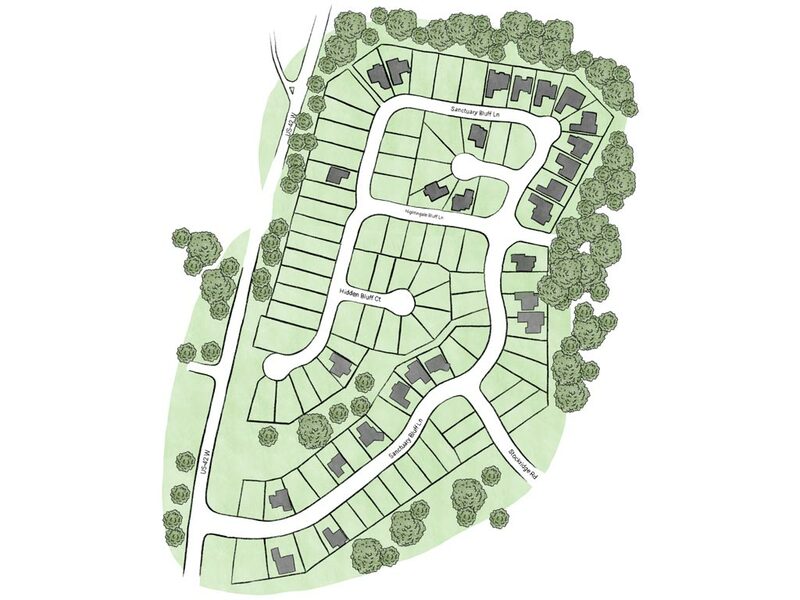 No matter your choice, you’ll love being a part of this small, esteemed extension of the larger Lake Forest Community. Since early 2001, Valencia has been the premier name for luxury, maintenance-free living. Brick exteriors enclose luxurious interiors filled with custom cabinetry, gorgeous mouldings, and stunning finishes. Valencia Villas has the reputation and location that provide both privacy and convenience. Situated off Hwy 42, Sanctuary Bluff is a prestigious community with custom built homes that will impress. With RALLE Homes you will get a gorgeous exterior, matched by an interior that will wow you and your family. Handsome cabinets coupled with trim and moldings, coffered ceilings and built-in features that you can appreciate for decades are just a few of the features that you can expect from RALLE Homes. RALLE Homes is constantly striving to develop new neighborhoods that feature the great features and quality that we have come to be associated with. Below are some of the areas that we are currently developing. Contact us if you would like any information on how to buy or build a home in these locations. Cloaked in nature, Valencia Springs is tucked in off North Hurstbourne Parkway close to Brownsboro Road. 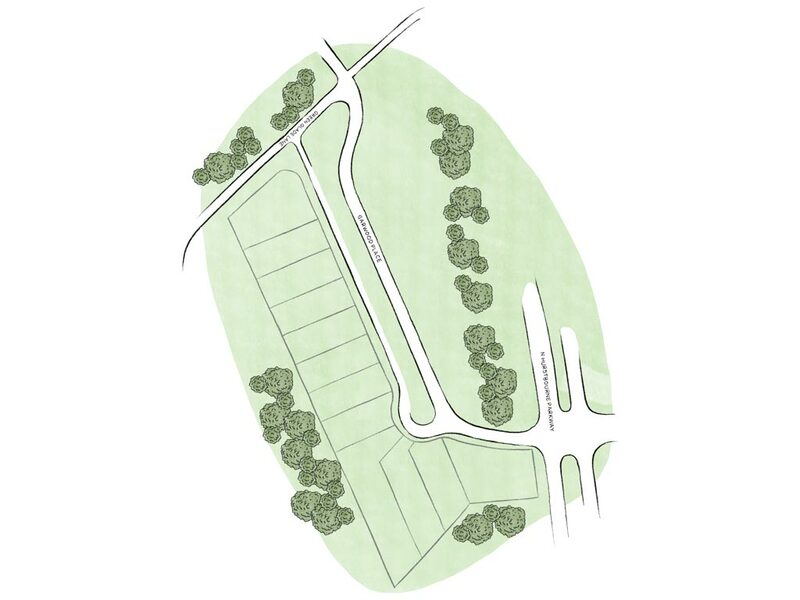 The many wooded lots provide quiet solitude from the surrounding city while still allowing easy access to the Paddock Shops and Gene Snyder Freeway. Reach out to us and we'll get back to you.